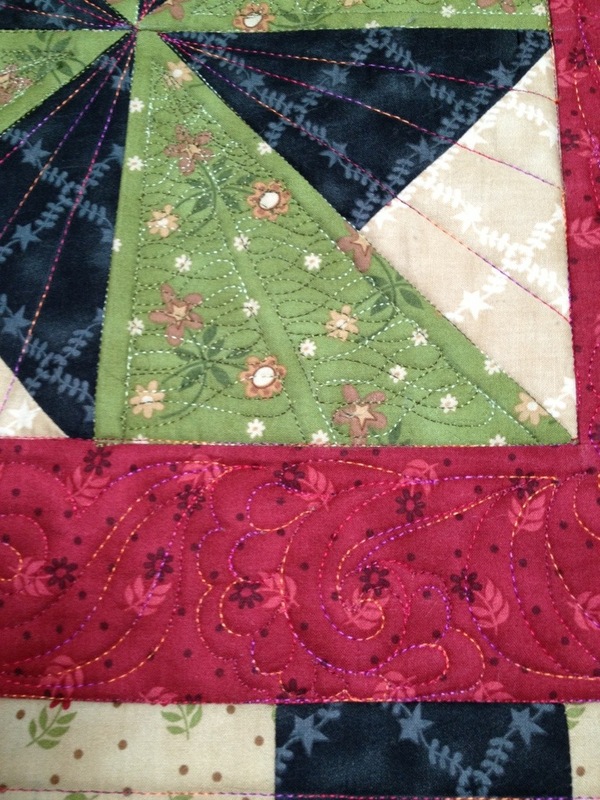 The photos of the quilting details from yesterday did not turn out like I thought. You cannot see the details. Ha, ha. Leave it to me. Show details you cannot see. So, let me try again and show larger photos. Well, this should help you see the quilting details. I will try to do things better on the next posts. It snowed a lot last night. Guess I need to shovel once again and then start on this darling piece. 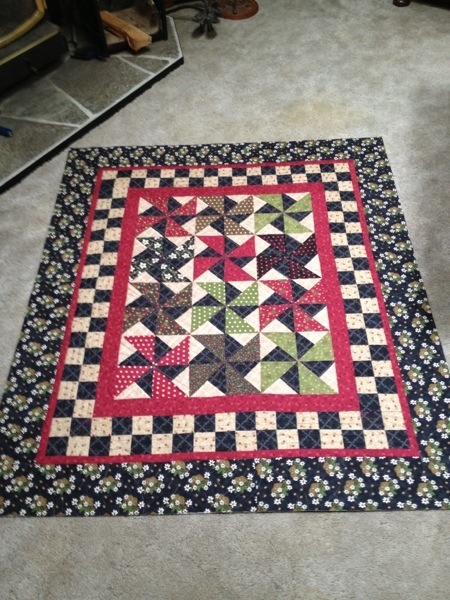 I finally finished this pinwheel quilt. It took much longer than I anticipated. I started quilting and the quilt just called for more. It is hard to believe that the month is coming to an end. Months and years fly by and I no longer wish for time to pass. I want to savor each moment and keep the memories clear. Congratulations to my friend Rob and the new addition to his family. Starting a new year with a new baby . . . Must be signs of a new beginning. New beginnings, I think we all need that from time to time. A new year seems to lead us in a direction to review and evaluate the past year. What can I do differently? What is truly important and what can I let go of to make my time more positive and fulfilling? What is on my list of things to do that I should cross off so I have more time to do what I want to do? Who do I want to spend more time with to have fun and laugh? Questions always lead to more questions it seems so I will stop with the questions and focus a bit. Here is the next piece I am starting. 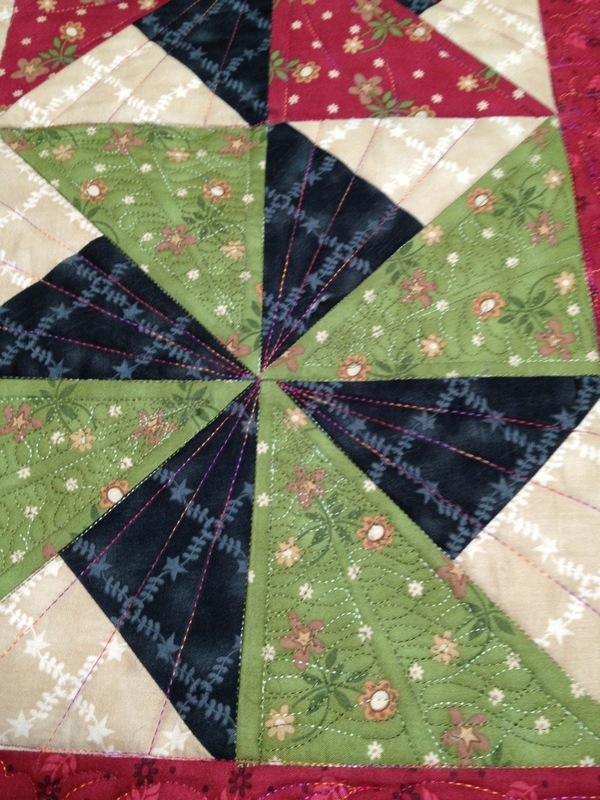 I hope to spend time quilting, listening to my audio book, and not so much time with thinking of more questions. 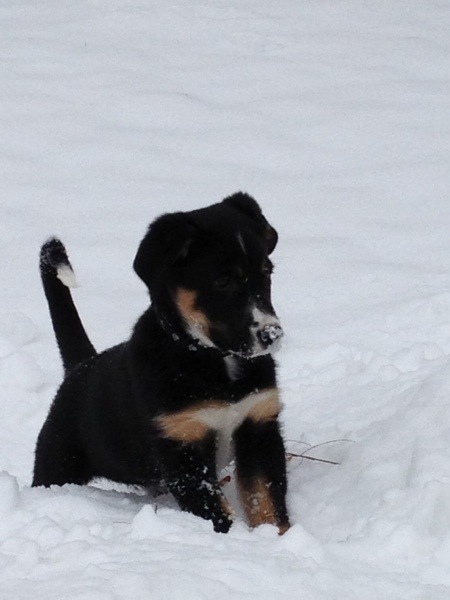 We finally had our snowfall and between shoveling and chasing my my pup through the snow, I have more snow than I thought I wanted. Listened to a great speaker this last weekend. She talked about being who you want to be now, not evolving into that person at some distant time down the road. The future is now. You cannot prolong adolescence just because you do not want to be a responsible adult. I really related to her talk. I have always been a responsible adult. I grew up early and took on that role long before I probably should have. 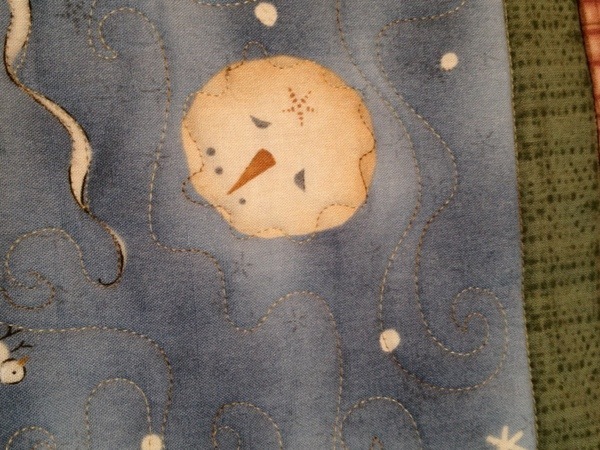 It has made me much more concerned and serious about how I look at life and how I look at my quilting sometimes. Her talk was an epiphany of sorts for me (funny because that was what she was talking about). 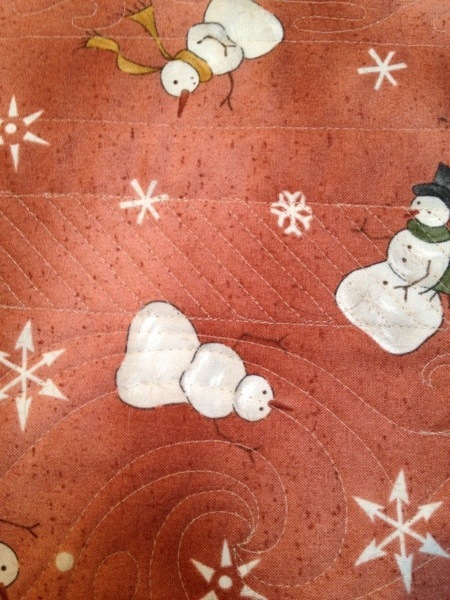 I need to be more open and free with my quilting. I should venture out on a limb more frequently rather than just completing a project because it is in my to do pile. Joy, affirmation, and being more open should be part of my daily approach. 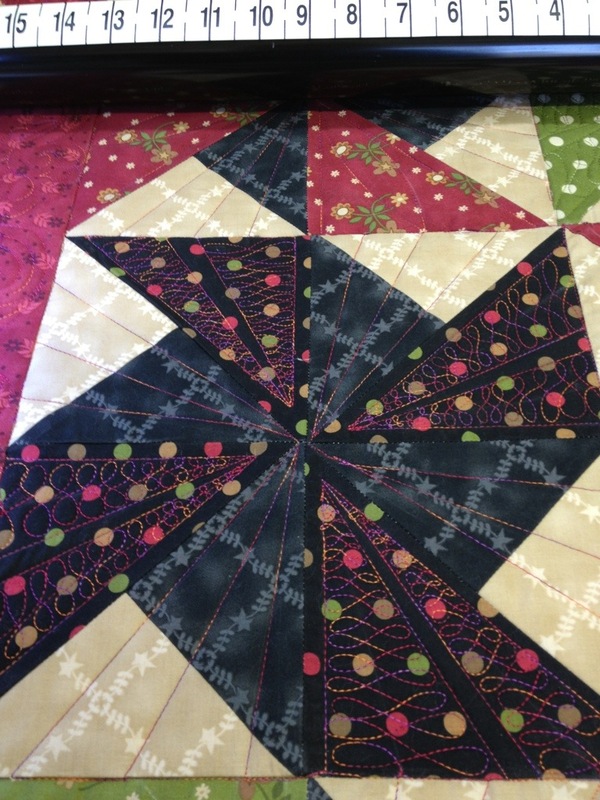 So now that I have had an Aha moment, an epiphany of what my quilting world needs for me, I hope that I can begin that shift so I continue to grow in my skills as well as in my contentment. 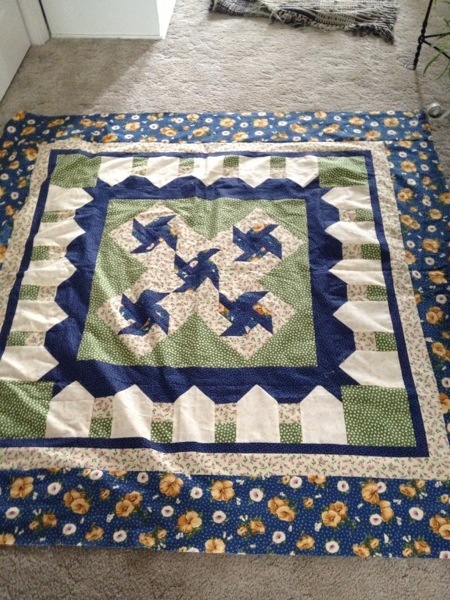 I had so much fun quilting this piece. 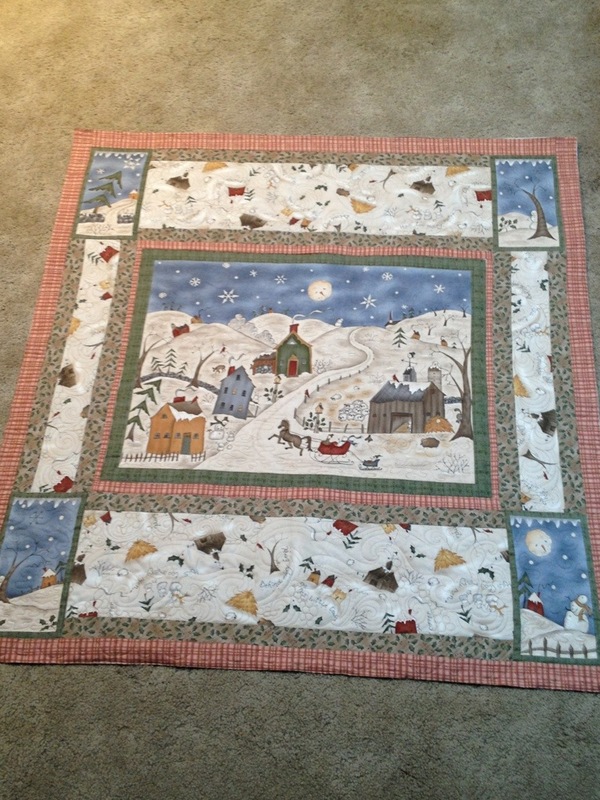 It was snowing outside, the wind was blowing and the swirls on the quilt were just as though I was quilting what was happening outside. 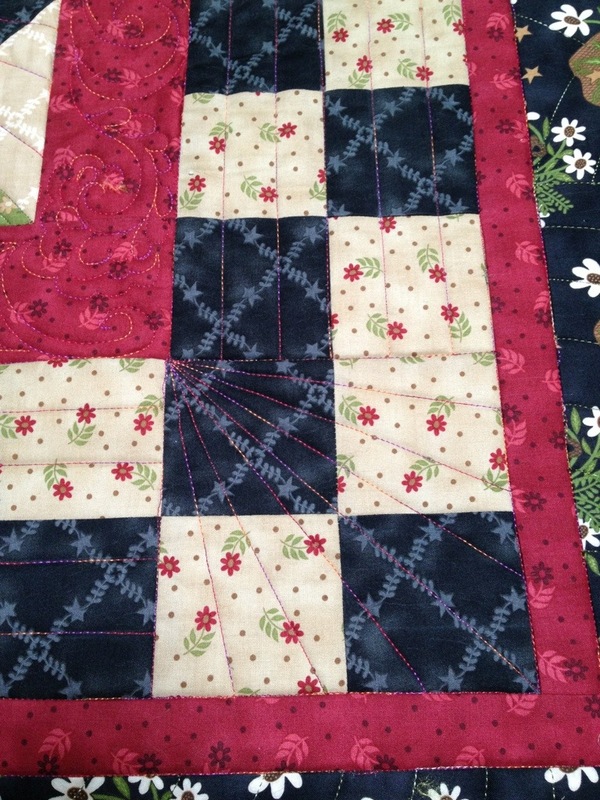 I used a great ruler called a Proline to quilt the small border lines. Worked fabulously! Even the back on this piece is is great. 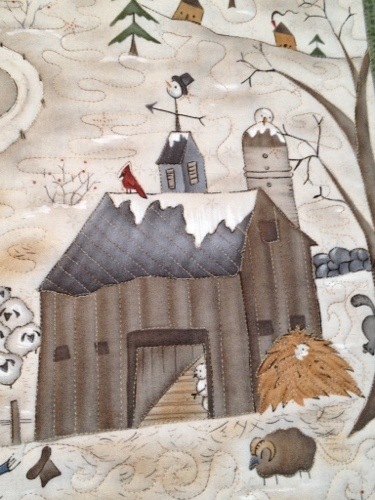 Once again, I would like to keep this quilt.